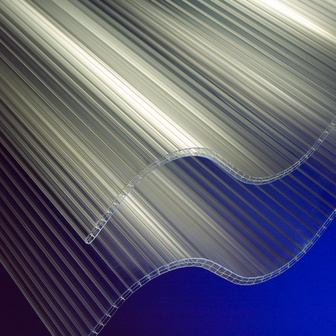 The ideal roofing and cladding material, Corolite CST polycarbonate sheet provides the durability and impact resistance of corrugated polycarbonate sheet with additional strength and insulation provided by the 6mm triplewall structure. Added UV protection provides resistance against the effects of weathering. Can be used with fibre cement sheeting or as a complete roof and wall cladding material for more heavy duty roofing and cladding applications.